This last year, residents of Los Angeles took part in the inaugural year of the Griffith Park Raptor Survey, a citizen-science-led initiative looking to better understand a top predator in an urban ecosystem. 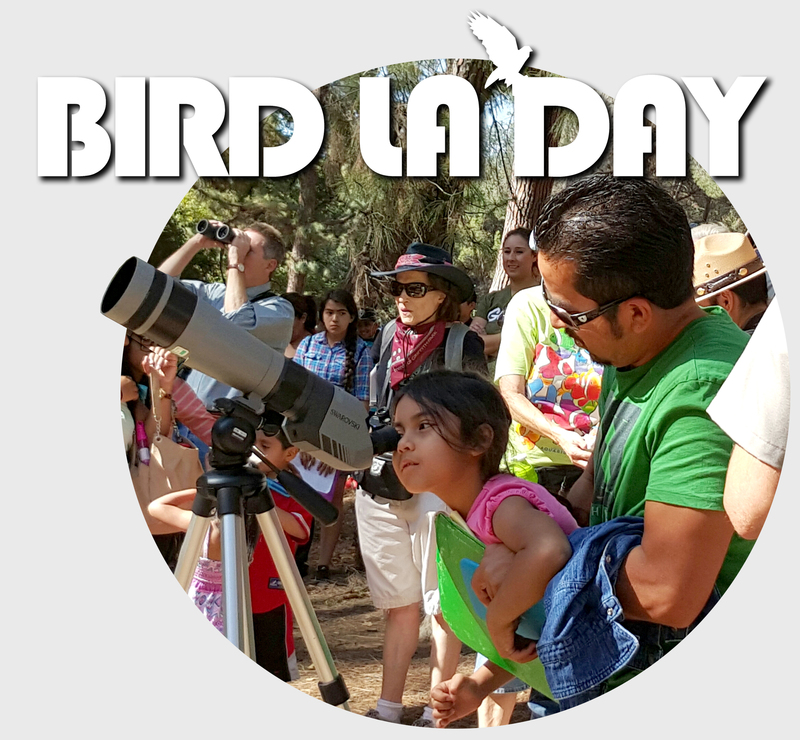 Since 2007, Cooper Ecological Monitoring, Inc. has been conducting surveys on the flora and fauna in Griffith Park hoping to gain a better understanding of one of the largest urban parks in the U.S. The Griffith Park Raptor Survey is an attempt to continue this momentum, with the goal of documenting and tracking each raptor nest in the park and surrounding landscape. The data gathered by diligent volunteers represent the first specific, comprehensive dataset of an entire raptor community in the Los Angeles area. The Los Angeles area provides potentially suitable habitat for multiple resident raptors including turkey vulture, red-shouldered hawk, red-tailed hawk, Cooper’s hawk, great horned owl, barn owl, Western screech-owl, peregrine falcon, and American kestrel. Of those species, four were documented as nesting in Los Angeles in 2017: red-tailed hawk, red-shouldered hawk, Cooper’s hawk, and great horned owl. Red-tailed hawks are one of the most common large raptor species in North America and are abundant nesters in Los Angeles. Red-shouldered hawks are commonly associated with riparian habitat but in the Los Angeles area they are more associated with lush residential areas with large, old trees. Cooper’s hawk populations have increased in urban habitats like Los Angeles with the decline in falconry practices and lack of natural predators. Great horned owls are habitat generalists often using abandoned hawk or raven nests, as well as cliff ledges and man-made structures. While not a raptor, common ravens were prevalent nesters found in much of the survey area. They are one of the most widespread, naturally-occurring birds in the world and they provide an important ecological service through their scavenging of animal carcasses and human debris. The survey area for the 2017 season included Griffith Park and nearby areas of LA within a 10-km radius of the park, roughly from the 405 freeway east to the Arroyo Seco/110 parkway, south of Victory Blvd./Colorado Blvd, and north of the 10 freeway. This area took in the entire eastern Santa Monica Mountains, as well as Elysian Park, the Los Angeles River, Silver Lake Reservoir, Echo Park, Debs Park, Eagle Rock, and surrounding neighborhoods. Habitats within the survey area vary considerably from managed parks to urban neighborhoods, to rugged, deep canyons in isolated, wilderness-like areas. The survey was supported by many citizen-scientist volunteers with a wide range of interests and backgrounds. A mandatory volunteer training workshop was held on two dates in February that acquainted individuals with monitoring and data collection protocols. Special attention was paid to data collection because many individuals already had prior birding experience. The goal: to ensure volunteers were comfortable with the protocols and learn how to recognize and observe nesting raptors, and how to gather viable data. Cooper Ecological Monitoring biologists conducted surveys in the Griffith Park and surrounding area simultaneously to the survey, to identify and map existing potential raptor nests. We also placed articles in local newsletters requesting information from residents on local raptor nests, which surprisingly generated several reports of backyard nests new to the count (that we likely would have never found!). Volunteers were then assigned at least one nest for which they were responsible over the duration of the nesting season. Data was collected on the nests about one to two times a month, including nesting stage during each visit (nest-building, incubation, etc.) and tree type/nest substrate. Success rate for each nest was tracked and the data was mapped to show trends and patterns. Our first year yielded over 100 confirmed or potential raptor nests! Of those, 60 (including several ravens) were active and identified as to species. Red-tailed hawk nests were by far the most common (22 active nests), followed closely by Cooper’s hawk (17 active nests). Given that Cooper’s hawk nests are much more difficult to locate than red-tailed hawk nests, it is possible that there are more Cooper’s hawk nests in the study area, that will simply need to be found (and monitored) to get an accurate tally of each. Equally low numbers of red-shouldered hawk (5 nests) and great horned owl (5 nests) were found, indicating either the rarity of each, or, in the case of the owl, the difficulty in finding an actual nest. The nest data was gathered by 115 volunteers from all over the Los Angeles region logging over 650 volunteer hours from February to July 2017. Many nests found had apparently been active in the recent past (based on “whitewash” on the ground below the nest, and other clues), but were inactive in 2017. Whether this was due to the prolonged drought over the past 4-5 years, or some other cause, is not known. Future surveys are needed to determine a “rate of occupancy” for these urban nests, which may well be frequently vacant as raptors are forced to move around the landscape due to the high level of disturbance from living in an urban setting. We noted many examples of nest disturbance, from loud noise near the nest, such as an active home construction site a few feet away (Beverly Hills), to nest trees being cut down or severely trimmed during the survey (Highland Park, Lake Hollywood). One interesting observation we made during the study was that the “native” interior of Griffith Park had relatively few raptor nests compared with areas located outside the park. Indeed, just a single raptor nest in the entire study was in a native oak tree, and just five were found in (likely) native sycamores. Pines alone represented 40% of the nest trees in the study, and ficus proved important as well, particularly in the most urban sites (favored by Cooper’s hawk). The study highlights the importance of the large, non-native trees that exist in and around the park, many of which have matured – and are now the tallest trees around – since they were planted decades ago. While non-native, they clearly provide excellent nesting opportunities to the local raptor community, and have essentially outpaced native substrates. 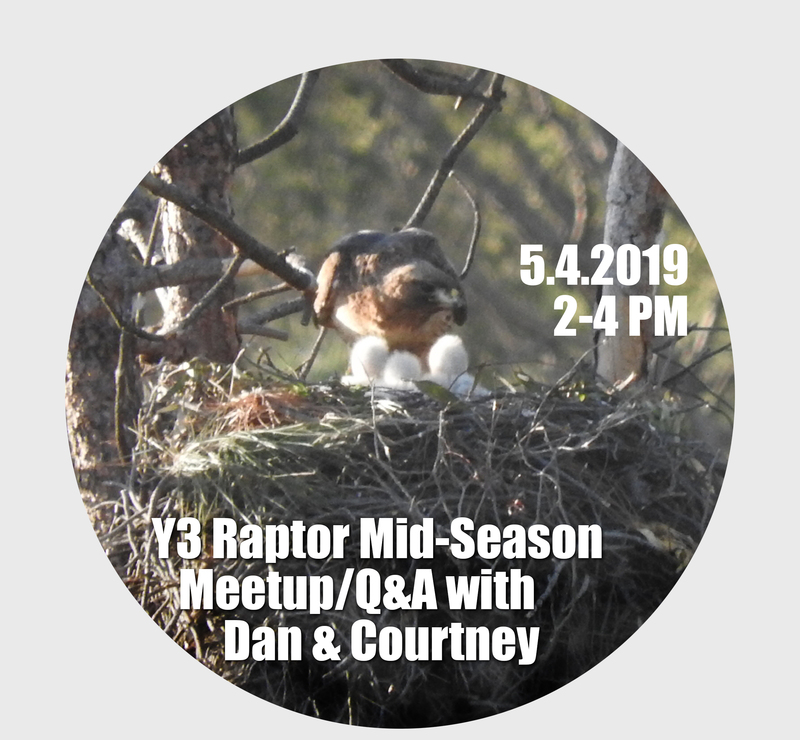 Perhaps an apparent lack of nesting raptors in the inner, more natural part of the park is due to the relative abundance of readily-available prey (fox squirrels, rats, and pigeons) outside the park, in urban/residential areas. Lastly, the survey highlighted the importance of citizen-scientists. Though there are so many neighborhoods in Los Angeles that probably play host to a raptor nest, it is impossible for a few biologists to find every one. Local support and knowledge is invaluable in a large-scale survey such as this. Multiple forms of outreach (Facebook, email, and good old-fashioned word-of-mouth) allowed us to reach a broad audience and get information from areas we otherwise would have not known supported raptors. We hope to continue to use citizen-scientists and reach new, interested Los Angeles residents. With a great amount of interest and support for the survey, it will return in the spring of 2018 for its second year. We anticipate that the survey will grow to include new areas of Los Angeles, such as the floor of the San Fernando Valley, and will achieve better coverage of the Hollywood Hills, where we’re sure we missed many nests due to the rugged topography and seemingly endless potential nesting sites. Future studies will look at the distribution and ecological interactions of the different raptor species in and around the park, and may involve leg-banding of chicks (by permitted colleagues) to support future individual identification. This would greatly enhance our efforts to track families and start investigating demographic trends and developing testable hypotheses (e.g., are all/most of the local red-tailed hawks related, and are they developing unique strategies for living in an urban environment?). I have often seen Cooper’s Hawk in this location, and the other day (November 2018) I saw an American Kestrel at the top of a dead tree above the Greek Theater. Red-tailed Hawk is also common here, much larger and usually darker. I have also seen Peregrine Falcon around the radio masts above the Hollywood sign, and Merlin lower down (near the observatory). If you can attach your photo I can try and identify your bird! A few days ago, I went to walk the Fern Dell trail. After the first steep incline, as I was about turn the corner, I looked up to the right, and at the top of a barren tree, perched what looked a lot like a falcon! I had just been researching these incredible birds online the day before, so perhaps I was “projecting”. However, it really looked to be a young falcon, with white feathers on the chest and lower cheeks. I took a photo, but unfortunately, it’s not focused, so even when zooming in, I can’t see details to determine.